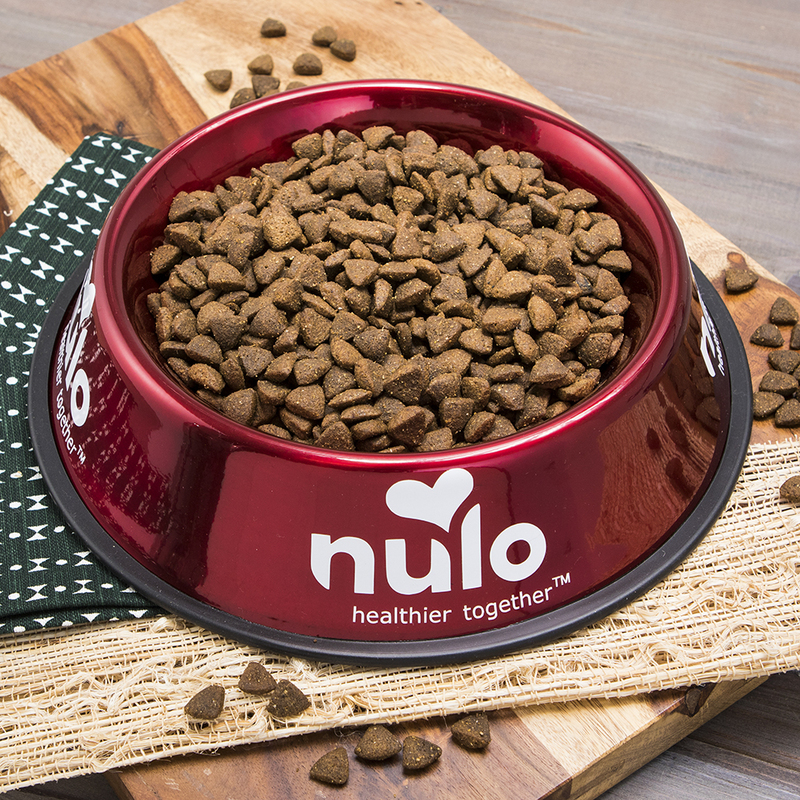 Sensitive dogs are athletes too, and deserve high quality, tasty nutrition without compromise. 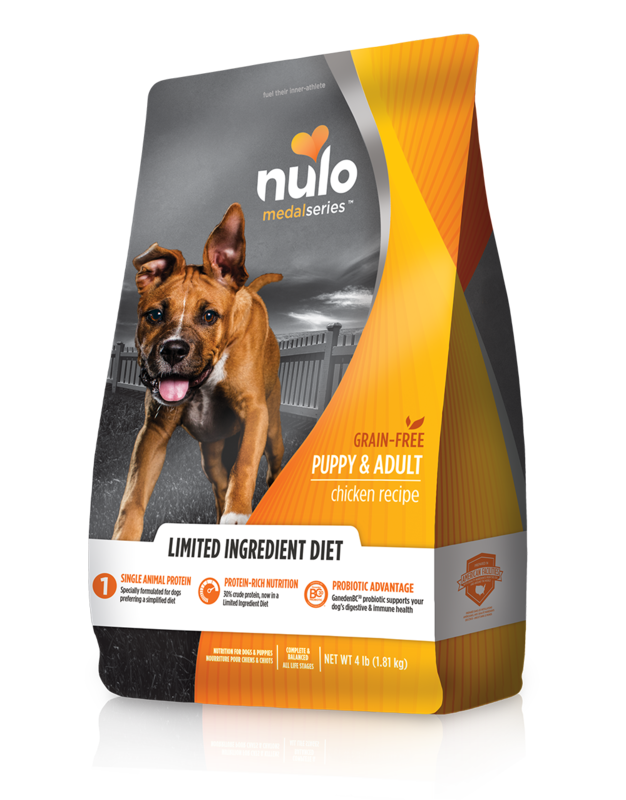 That’s why Nulo MedalSeries Limited Ingredient Diet Chicken Recipe is designed with 30% crude protein from a single animal source, and without common ingredients like corn, wheat, other grains, soy, artificial flavors, colors, or preservatives. 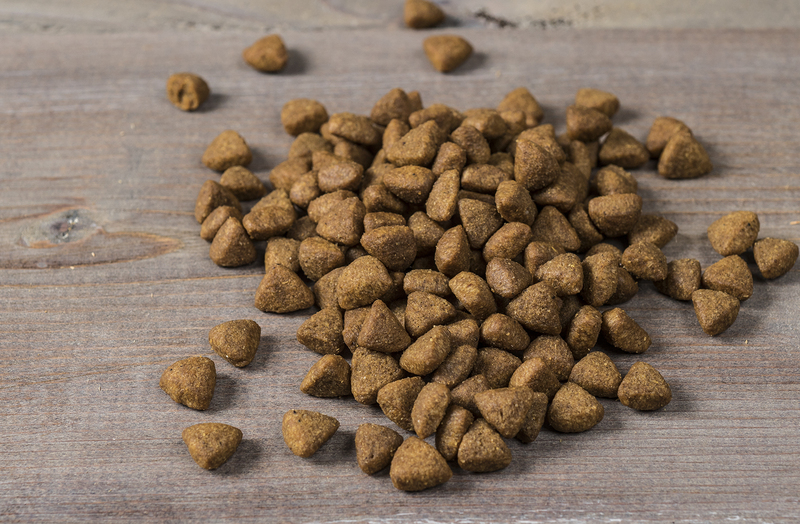 And with 51% of every cup coming from deboned chicken and chicken meal, this recipe contains plenty of animla-based protein that will help your dog feel his or her very best. Deboned Chicken, Chicken Meal, Green Lentils, Dried Sweet Potatoes, Yellow Peas, Chicken Fat (preserved with Mixed Tocopherols & Citric Acid), Pea Fiber, Natural Chicken Flavor, Calcium Carbonate, Potassium Chloride, Miscanthus Grass, Dried Chicory Root, Salt, Salmon Oil, Vitamin E Supplement, Choline Chloride, Zinc Proteinate, Zinc Sulfate, Iron Proteinate, L-Ascorbyl-2-Polyphosphate (source of Vitamin C), Niacin Supplement, Ferrous Sulfate, Copper Proteinate, Copper Sulfate, Vitamin A Supplement, Manganese Proteinate, Thiamine Mononitrate, Calcium Pantothenate, Riboflavin Supplement, Pyridoxine Hydrochloride, Manganous Oxide, Biotin, Dried Bacillus coagulans Fermentation Product, Vitamin B12 Supplement, Vitamin D3 Supplement, Folic Acid, Sodium Selenite, Calcium Iodate, Rosemary Extract. MedalSeries Limited Ingredient Diet Puppy & Adult Chicken Recipe is formulated to meet the nutritional levels established by the AAFCO Dog Food Nutrient Profiles for all life stages including growth of large size dogs (70 lb. or more as an adult).